This is excellent. As you know I, along with Paul Waddington, have a penchant for needlework. 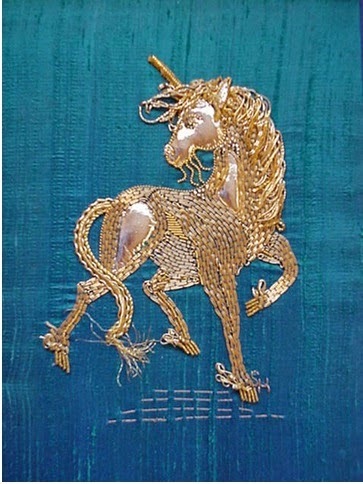 Since you put the post up it has struck me that goldwork may (and I might be wrong) be an appropriate medium for recreating the Pilgrimage of Grace badge that was originally at West Rasen Chapel, and is now held at Arundel. I would not have mentioned it, but the original badge is relatively small, though I appreciate that it would still involve some solid work (my skills are not up to it I am afraid). Maybe this is an item that could be held centrally with the LMS and could be displayed at the Martyrs pilgrimages around the country? It was just a thought, but one that kept returning since I read your original post. What a lovely idea! We would certainly love to try! Do you have pictures you could send?